Easy Banana Cream Cake Trifle is amazing! 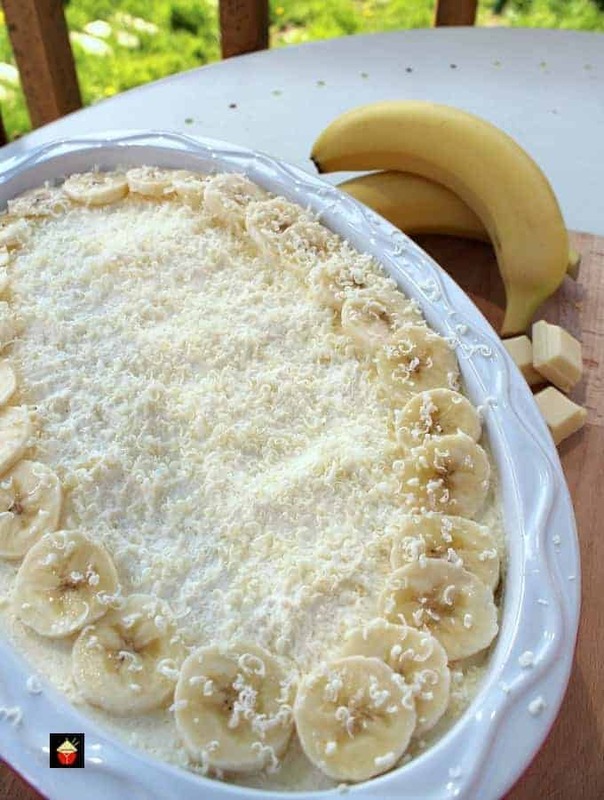 Delicious layers of creamy custard, bananas and homemade banana bread, topped off with freshly whipped cream and a sprinkling of white chocolate. Simply delicious! Oh my! Have we got a delicious recipe for you to enjoy today! Our Easy Banana Cream Cake Trifle tastes out of this world. It has got to be one of the best trifles ever! It’s quick and fuss-free, so you can make this very fast, and uses very few ingredients. For this recipe, I’ve used store-bought custard pudding mix as I happened to have some in my pantry handy. If you have time, you could make your own homemade vanilla pudding, we have a simple recipe for you to use. You just need to let it cool down before you start to build your trifle. As for the cake. Well! I had a few slices of my banana bread left over from the week so that’s what I used! 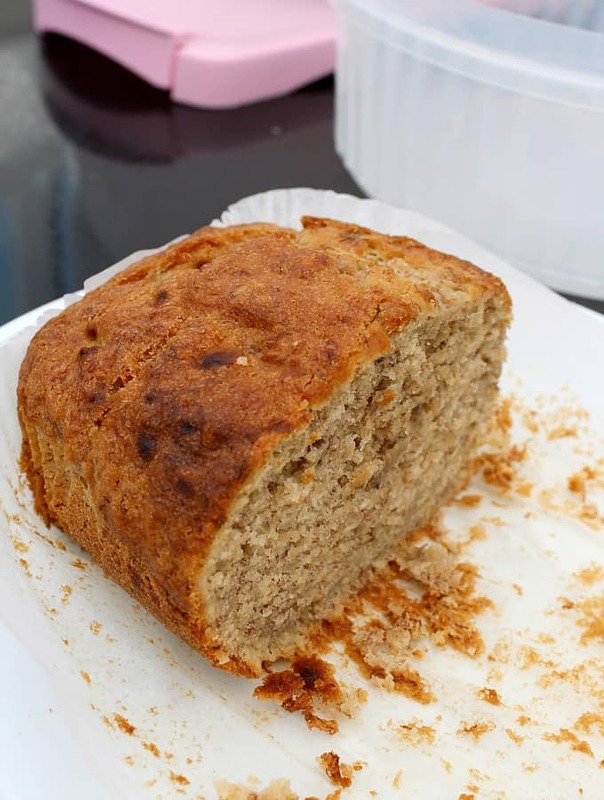 Again, if you have your own favorite banana bread recipe, go ahead and use that, or you can use ours, here, or indeed, pop to the shop and buy some if you’re pushed for time. This banana cream cake trifle is really very easy. Once you have all your ingredients, it’s simply a case of building the trifle in layers and popping in the fridge to chill for an hour or so. Simply serve in bowls or take along to a potluck or perhaps make it as part of your lovely Thanksgiving dessert table. Whatever you decide, it will be a popular dessert so be sure you have made enough! With regard to the decorating on the top, feel free to make whatever pattern you like! 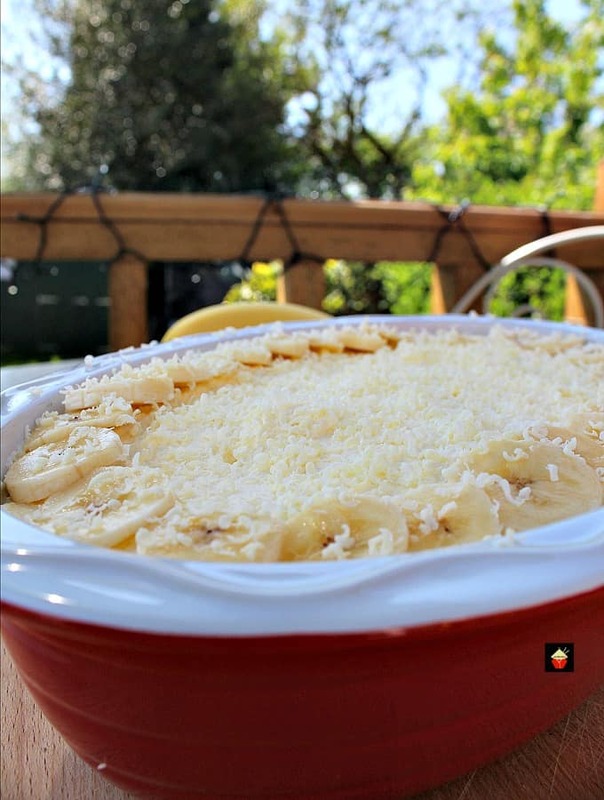 For this recipe, I’ve simply sliced some bananas and grated some white chocolate over the top. 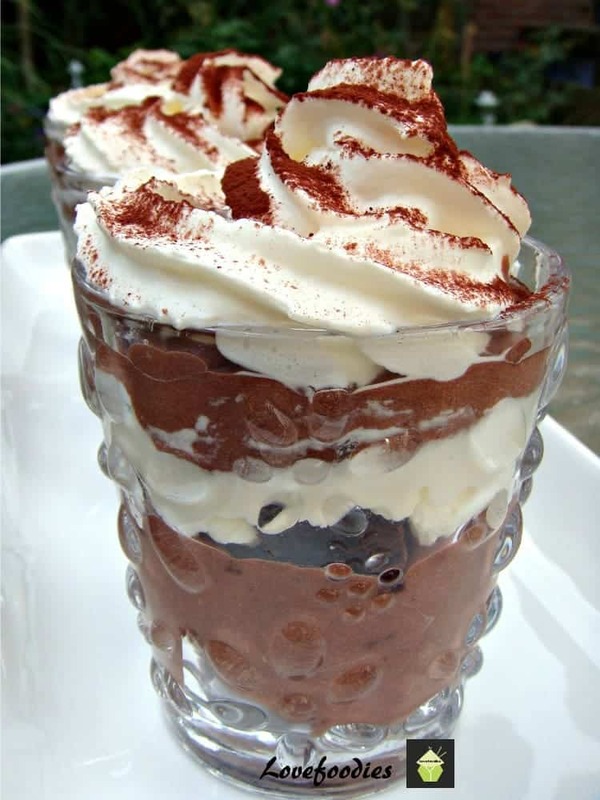 You can use some sprinkled cocoa powder, grated milk or dark chocolate, or cover it entirely with sliced bananas. You could pipe the whipped cream if you wish. It’s really however you want, so do whatever suits!. A note about the bananas for the topping. I suggest you peel and slice those just before serving so they don’t go brown. Or, coat them with some lemon juice and sugar. 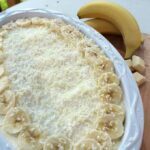 So if you’re taking this banana cream cake trifle along to a party or gathering, just take the bananas for the topping with you and decorate the top when you’re about to serve. That way, at least the bananas won’t go a horrible brown color. I would recommend this trifle is eaten the same day for best results. 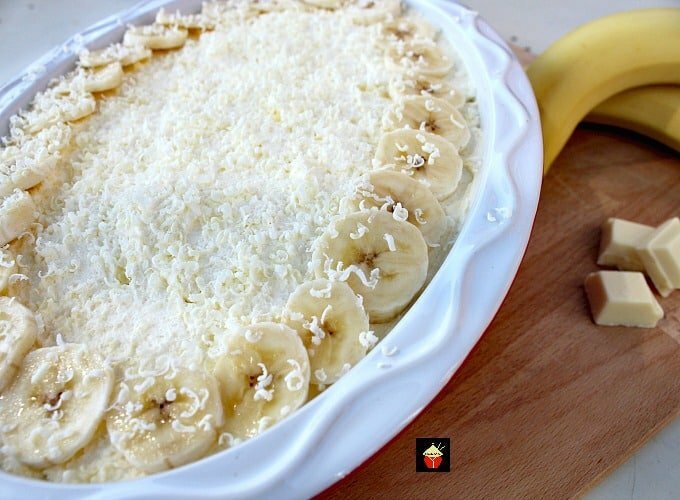 As you know, bananas can go a little mushy over time, so prepare the trifle a couple of hours in advance and pop in the refrigerator. 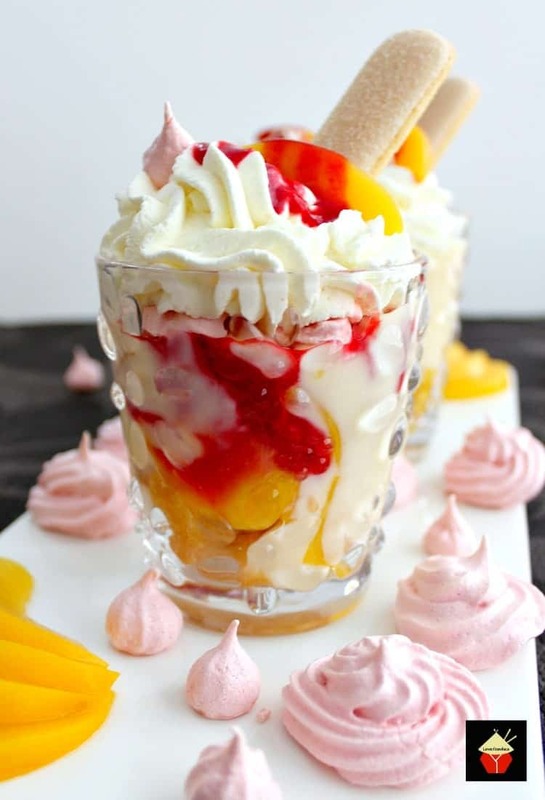 It’s easy and simple enough to put together anyway, so if you needed to, you could whip up the cream earlier and cover in the fridge, then just assemble the trifle at the last minute so it stays nice and fresh. So let’s get straight to the recipe and see how easy it is to make our banana cream cake trifle. Please enjoy! 1. 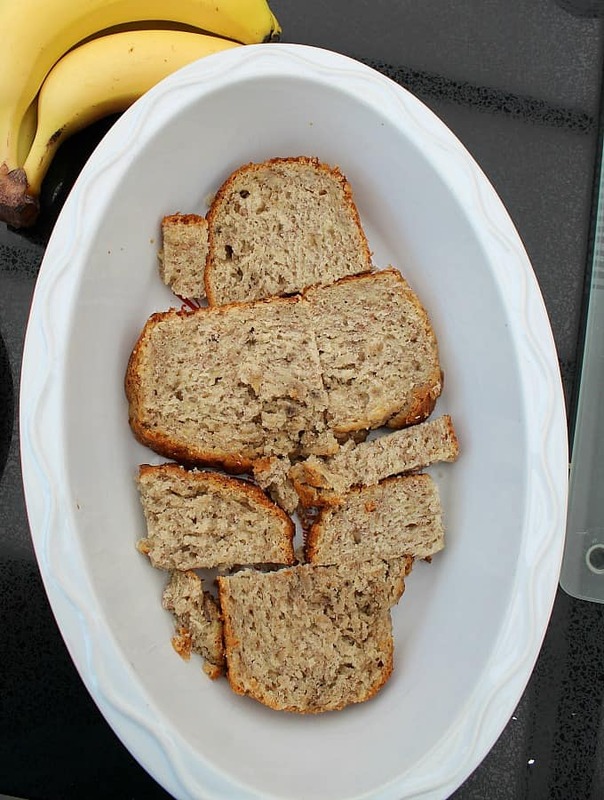 Slice 3 to 4 pieces of banana bread. Try to slice them so they’re about 1 inch thick each. Then arrange in the bottom of your serving bowl. My dish was about 8 inches wide and 6 inches deep. Use more or less to fit your bowl. 2. Spread HALF of the custard pudding mix over the bread and even the surface using a spatula. 3. Peel and slice 3 bananas and place in a bowl with the sugar and lemon juice. Mix gently so the banana slices are well coated. **The lemon juice will slow down the process of the bananas going brown when they are peeled. 4. 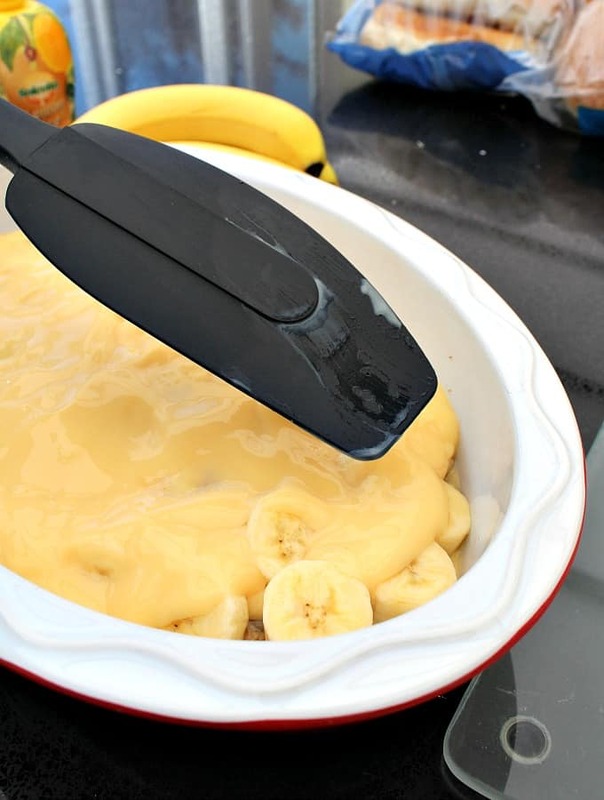 Arrange all of the banana slices on top of the custard pudding layer. 6. Using a whisk, whip up the fresh cream and powdered sugar until semi-stiff. 7. 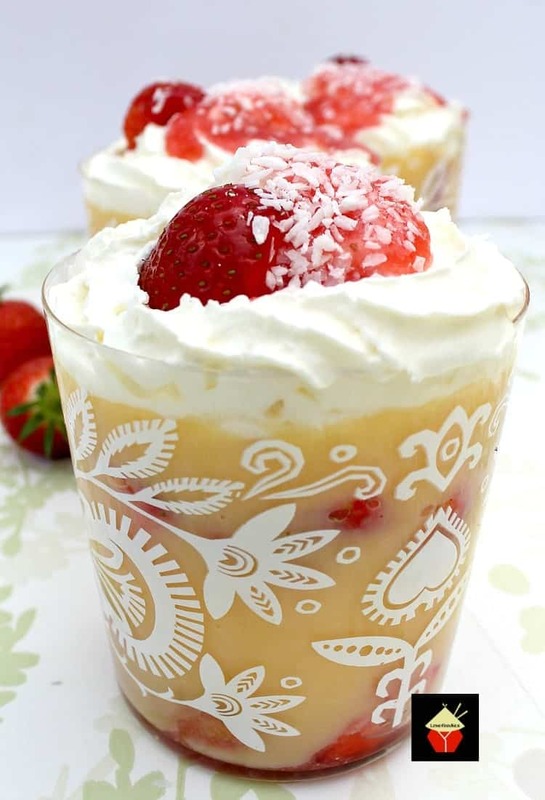 Spread the whipped cream over the custard pudding layer and place in the refrigerator until ready to serve. 8. 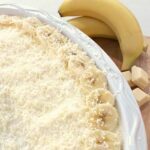 Just before serving, slice the remaining 2 bananas and arrange on the top of the cream, and grate the white chocolate over the top and serve. *** The bananas for the topping have not been coated in lemon juice and they will turn brown quickly, so if you are planning on serving this dish where it will stay on the table for a while, such as for a buffet party, either coat the bananas with lemon juice and sugar and cover in plastic wrap, or peel and slice the bananas for decoration at the very last minute so they don’t turn brown! 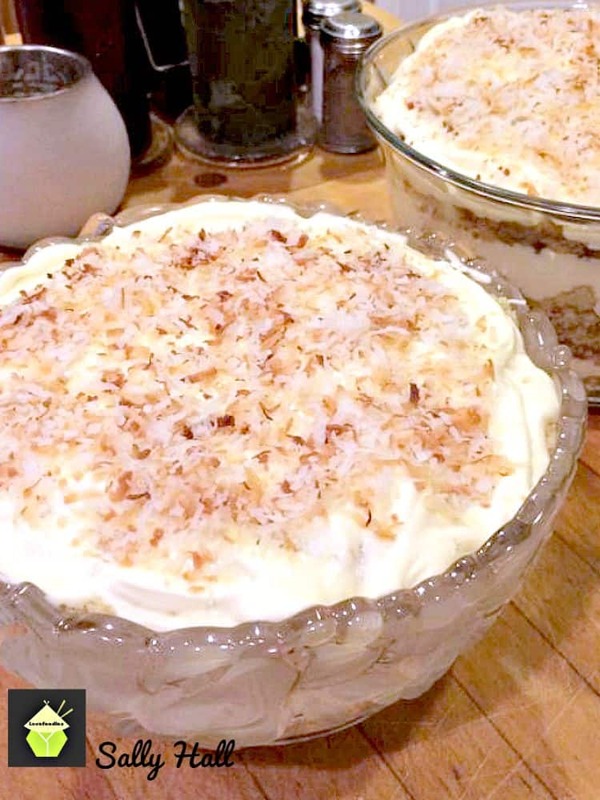 We’d love to hear from you and what you thought of our Easy Banana Cream Cake Trifle recipe. Did you make any changes or add some other goodies? Let us know in the comments below. Thanks for reading and happy cooking! 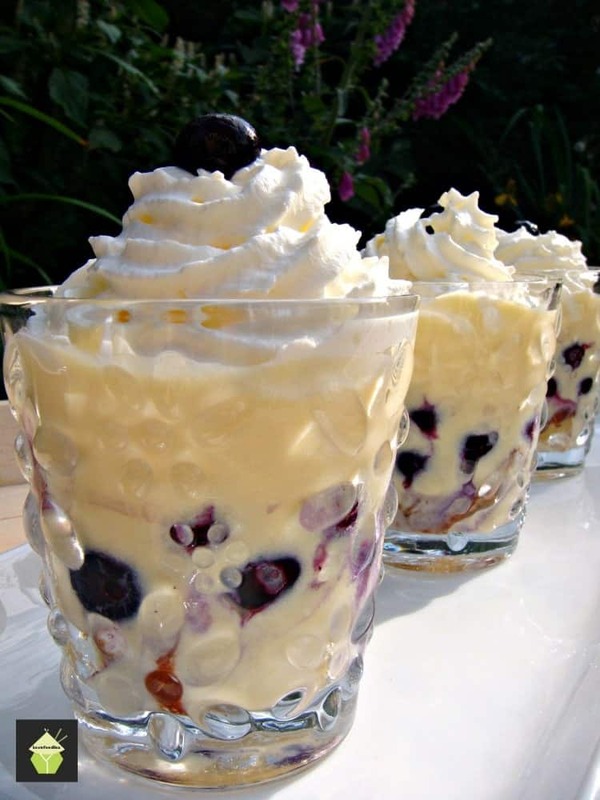 Here are a few more of our delicious trifle recipes for you to enjoy! 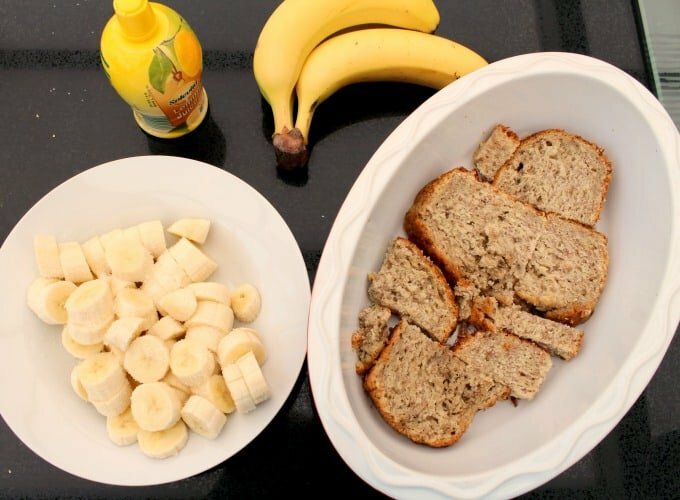 Slice 3 to 4 pieces of banana bread. Try to slice them so they're about 1 inch thick each. Then arrange in the bottom of your serving bowl. My dish was about 8 inches wide and 6 inches deep. Use more or less to fit your bowl. 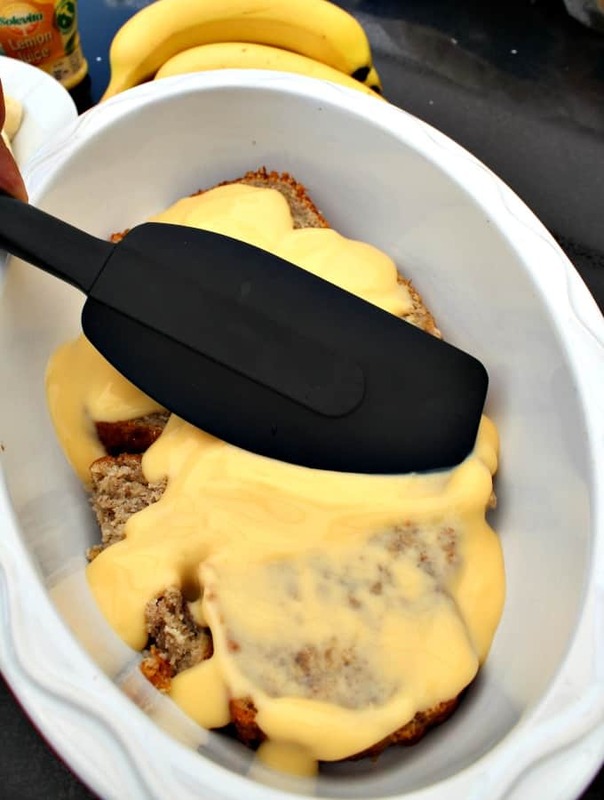 Spread HALF of the custard pudding mix over the bread and even the surface using a spatula. Peel and slice 3 bananas and place in a bowl with the sugar and lemon juice. Mix gently so the banana slices are well coated. 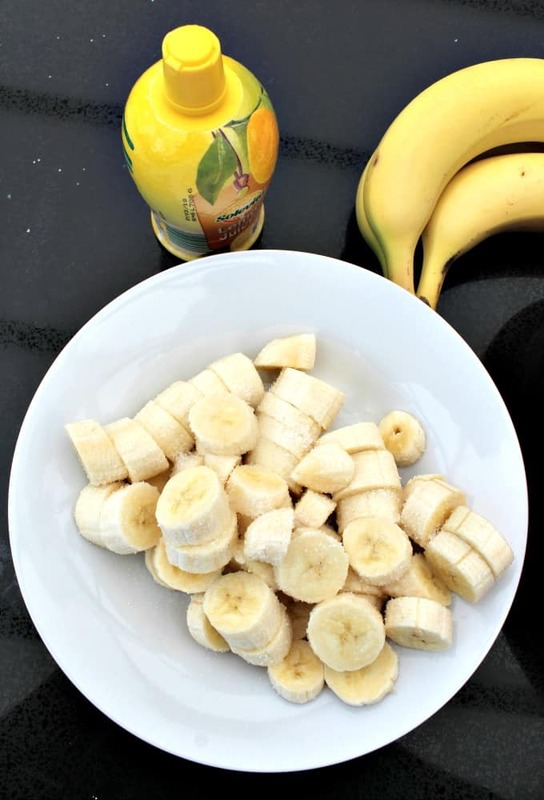 **The lemon juice will slow down the process of the bananas going brown when they are peeled. 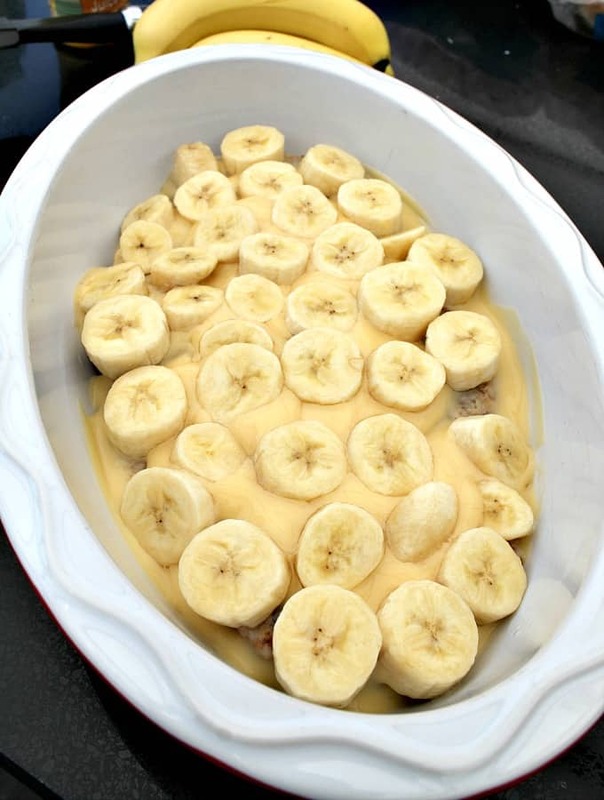 Arrange all of the banana slices on top of the custard pudding layer. 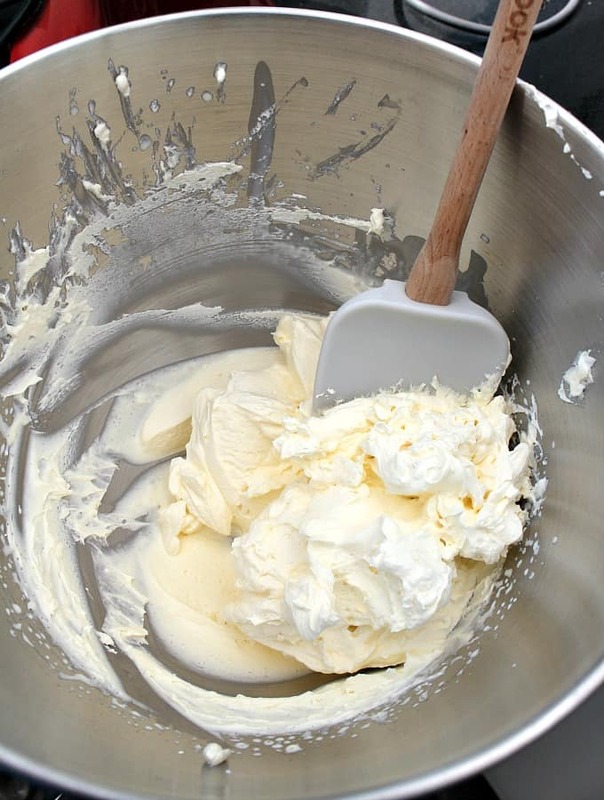 Using a whisk, whip up the fresh cream and powdered sugar until semi stiff. Spread the whipped cream over the custard pudding layer and place in the refrigerator until ready to serve. 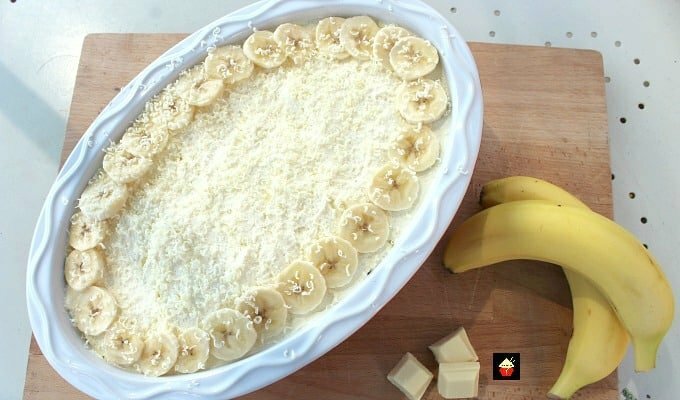 Just before serving, slice the remaining 2 bananas and arrange on the top of the cream, and grate the white chocolate over the top and serve. *** The bananas for the topping have not been coated in lemon juice and they will turn brown quickly, so if you are planning on serving this dish where it will stay on the table for a while, such as for a buffet party, either coat the bananas with lemon juice and sugar and cover in plastic wrap, or peel and slice the bananas for decoration at the very last minute so they don't turn brown!